Why I Chose Schola Nova? The story of a struggling mother of twins, trying to find a caring, goal-oriented and dedicated set-up for the schooling of her girls. Raising twins is quite a tiring job. Double the joy but so is the fatigue, stress and responsibility. It is a great relief for the parents when they start school as both the kids are off to school together. However, this was not the case for Najia, mother of twins Ayesha and Sofia. Ayesha started school quite happily while Sofia would vomit from home, in the car and in school and cry at the same time. The task of sending Sofia to school became so daunting for Najia that she decided to quit and homeschool her. 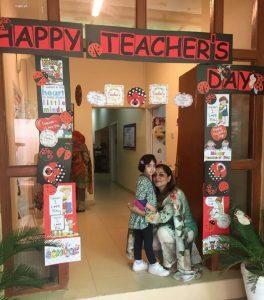 Within a month the girls have befriended the Vice Principal, Mrs. Safdar, who has been very supportive in helping the girls settle down. 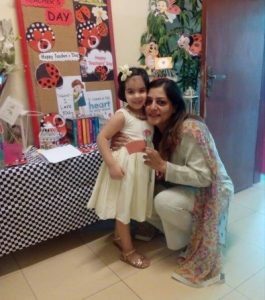 They made special cards for for Mrs. Safdar on Teachers Day. 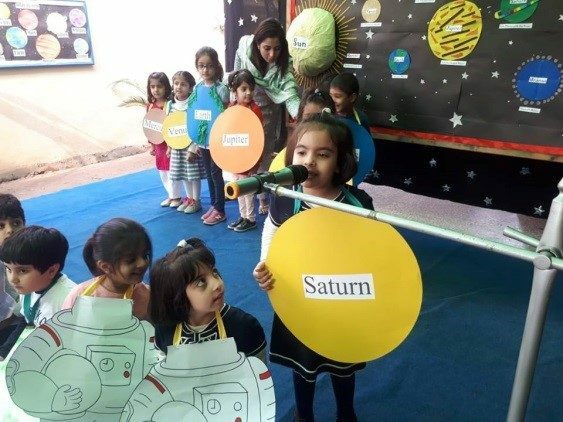 The Pre-School has a dynamic set-up where teachers go an extra mile to keep the little ones happy. Creativity and enthusiasm are considered essential elements of the course content while the school environment is safe, comfortable and secure. Highly content, parents of pre-schoolers believe that the school provides a strong foundation for the children. At last Najia was able to find a set-up for Sofia’s needs! What a relief for the mother and hats off to Team Schola Nova for their hard work!